Keeping You Up With ConstructionA collection of industry articles, homeowner advice & our company updates. 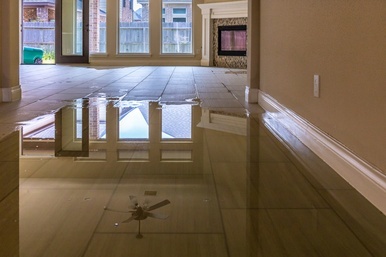 A flood is a dreadful event, which could leave your property in complete disarray. House floods are known to cause a lot of damage including destroying furniture, household features, personal items, and more. In the aftermath of such an event, as you can imagine, there is significant work that has to be done. Read on to learn about the five most important things you should never fail to do after going through a house flood! If your house has been hit by a flood, it might no longer be safe to enter. Structural damage and mold infestation, just to name a few, could be critical, life-threatening concerns you need to resolve immediately. Before you make your way in, it is imperative to assess the situation first. Failing to do so might put you and your family at risk. Although being the victim of a house flood could be a very shocking experience, you need to overcome the anxiety and focus on urgent issues which will enable you to make your first steps forward towards the process of rebuilding and repairing. The first thing you should do is to keep your documentation in order. Take as many pictures and videos to document the damage done, and if possible, collect evidence of damaged items for insurance possible. The more accurate your documentation right after the tragedy, the better the chances to recoup money from insurance. Notify your insurance company about the situation and share as much information as possible. Standing water is unsanitary and it might further damage your property. Once you made sure it’s safe to re-enter your home, start by removing the excess water still on the premises and clean up as much as possible. Don’t forget to document the original state of the damage before you do clean, as mentioned earlier! Mold damage is a very common consequence of house flooding, particularly if there is any residual water causing a moist environment which serves as a perfect breeding ground for mold. When tackling mold in a flooded home, leave it to the experts. Mold is notoriously difficult to destroy and professional remediation is the only way to ensure the safety of your family.